President Obama Commends Philly For Giving Ex-Felon Michael Vick A Second Chance…Surprisingly Many Are Condemning The President For Doing It?!? 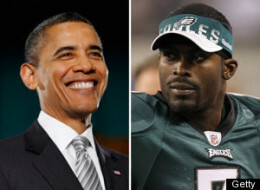 President Barack Obama has commended the owner of the National Football League’s Philadelphia Eagles for giving quarterback Michael Vick a second chance after his release from prison,putting the US President in the doghouse with canines and canine-lovers everywhere. 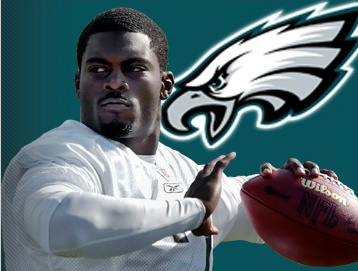 Michael Vick and the 2010 Philadelphia Eagle’s clinched a spot in the playoffs on Sunday.They play the Vikings tonight,after having their game postponed due to weather conditions on Sunday. Michael Vick is in the running to be voted in as this years Most Valuable Player for the 2010 N.F.L. season…he is definitely the comeback story of the year!!! Predictably,many in the media are condemning the President for not vilifying Michael Vick forever, and have started a move to use this against his leadership, and have politicized his comments here, which are obviously more about redemption rather than a celebrating or downgrading Michael Vick’s dogfighting crimes that he was convicted for. I am certain that the eagle’s placed Michael Vick on their roster as their #1 quarterback because they knew that it was their best chance at winning, which is just a basic , positive, non-emotional business move. No one is suggesting that the crimes he was convicted of should be forgotten, or forgiven, but,he did serve his time, and has been financially paying for his crimes, and abiding by his sentence for the crime of dogfighting that he was convicted of. The conviction for the crime was not a death penalty, or a lifetime banishment from the N.F.L., so given that,his personal and professional redemption has become a possibility. The story of Michael Vick is not over, and the President probably will not gain many supporters for his difficult choice he has made here to set an example of leadership for the public. He knows many will never forgive Vick, and that some would prefer him to be sentenced to a lifetime of hardship ‘s and banishment from society for what he did to those dog’s, but that is not what the law dictates. I know the emotions run raw when it comes to the President,Michael Vick, and the subject of prisoner rehabilitation…if we are not sentencing all criminals to a death sentence for all crimes. 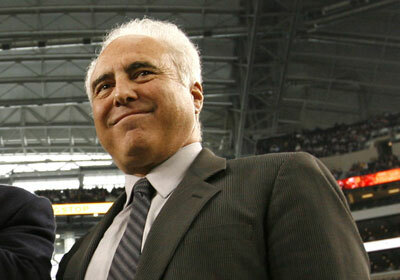 This entry was posted on December 28, 2010 at 9:19 pm and filed under Entertainment News,Social Politics. You can follow any responses to this entry through the RSS feed. « Motown Soul And Funk Legend Teena Marie,54, Has Passed Away Today In Her Sleep…R.I.P.